Success doesn’t always come easy. In fact, many successful athletes and entrepreneurs purposefully incorporate daily habits to become more efficient. While there is no one-size-fits-all activity that works for everyone, you can slowly pick up a habit that works for you. Read on for the best habits that will help improve your personal and professional life. Once upon a time, you probably had to read books for school. While many people don’t consider themselves to be avid readers, there are many benefits to curling up with a book. Whether we notice it or not, we are often judged by our word choices and writing abilities. By reading at least once a week, you can highly increase your speaking and writing skills. It can even make the difference at a job interview or when you make a good first impression. Reading can also teach you different perspectives. 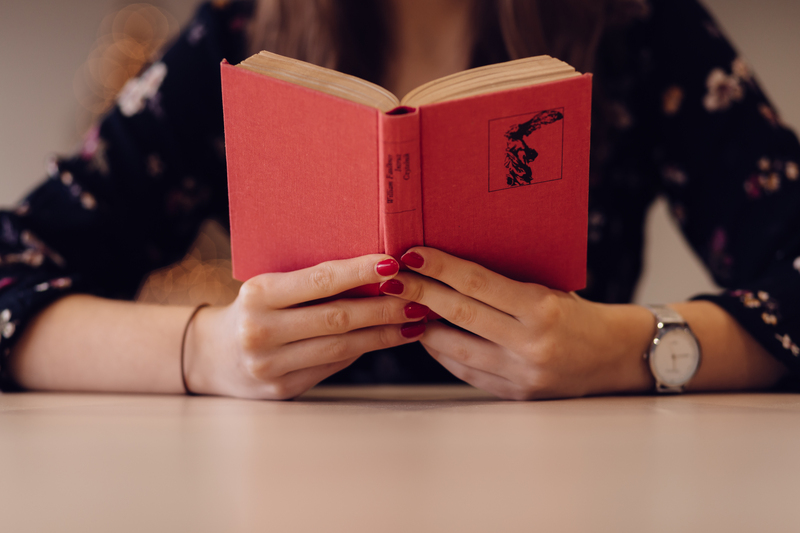 Whether you like fictional novels or nonfiction memoirs, learning about other viewpoints offers deeper insight into your own.Books also help keep us informed about current or historical events. Don’t have time to commit to Tolstoy? Start by picking up a newspaper once a week. In your professional and personal lives, one of the best things you can do is budget your time. By doing so, you’re keeping a mental timeline of things you need to accomplish in your day or week. This works for whether you’re a “big picture” person and plan weekly or monthly goals, or prefer micro and daily planning to stay focused. When you write down due dates and reference them regularly, you can avoid procrastination (and the stress that comes with it). At the end of the day, you can ensure you achieve a good work-life balance since you won’t be pressed to choose between the two. Similar to a daily planning, think about budgeting your money. By doing so, you can pay your bills on time, avoid penalties, and stress. Unlike other items on this list, this is a habit you should stop doing. Comparing yourself to others is a quick downward spiral for your self-esteem. In daily and public life, we tend to put our best foot forward. In other words, we show the best side of ourselves to the world. By comparing ourselves to other people, we’re not always getting the full picture. There may be a lot of personal issues, stress, doubt, or other things under the surface. Nobody is perfect, some people are just better at hiding their flaws. Ultimately, comparing yourself to others doesn’t achieve anything. Even if you believe you’re the superior party, there is nothing to be gained from doing this. It’s a never-ending process, and it’s best to spend your time doing something positive. By actively engaging in seemingly-mundane and simple ideas, you’re keeping your mind open to new possibilities. Curious people take their thoughts a little further than the immediate answer and go down a path that leads to learning new things. When you’re genuinely curious about your colleagues or family members, you can foster a better relationship. You may even become more empathetic. By asking engaging questions, you can develop your listening skills and uncover the lessons from other people’s life stories. There are multiple benefits to keeping a journal. It’s not only a great way to release stress, it’s also a powerful reflection tool. Journals are essentially personal records and timelines of your achievements (or failures). Journals allow you to write down the parts of the day you thought were noteworthy and important, and what you hope to achieve further down the line. By writing your goals and dreams down, you’re also engaging your subconscious goals. In other words, you’re making something abstract into something a more concrete. At the end of an entry, you may arrive at a conclusion you didn’t consider before. Picking up successful habits isn’t always easy—but practice makes perfect. Try starting out small, with one or two of these habits per week. If you’re forgetful, set an alarm on your phone for a moment you’ll know you have spare time. Sooner than you know it, you’ll be doing this habit every day. Marvin Shine is a motivational speaker and life coach. As a specialist in NLP coaching, or neuro-linguistic programming, Marvin coaches people from all walks of life on how they can reach within themselves for the positive changes they’d like to see in the world. When he’s not coaching or giving seminars, Marvin enjoys writing fiction, gardening, and pottery.